Decent camera repair techs are hard to come by. We have a few in Southern Ontario but due to age, their numbers are dwindling. Now, I have a few cameras that need a specialist's knowledge, or a desire to work on. 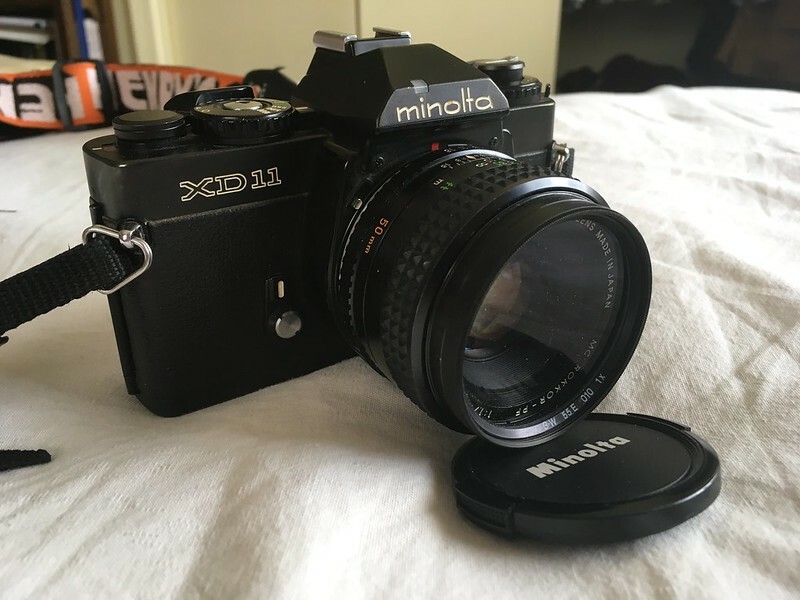 For example, a Minolta XE-7 I owned sat for ages because it needed a CLA and the film advance lever was sticking, no one in Southern Ontario wanted to touch the camera. In fact, one of my go-to techs (since passed) only half joking yelled, get that camera out of his shop. He also said that with Bronica gear too. After some research on Facebook and Flickr Minolta Forums, I came across Garry's Camera in Buffalo Grove Illinois. With other brands, Garry has a bit of a hit or miss reputation, but with Minolta, especially Minolta that has electronic shutters and sophisticated onboard circuits, Garry does great work. While he has an online form to fill out it won't fill out a Canadian address, no biggie a Word or Google Document printed off capturing the information required. I described the problems in the letter popped it in the box along with the body. My Chrome XD which needed an overhaul made it to Buffalo Grove IL in all four days. That also included a supposed slow down by US Customs inspecting all incoming packages coming in from Canada. Three days after arrival I got an invoice for $65 USD for all the overhaul and the XD returned back into my hands two weeks later (probably took three days to Canada Post Gateway in Mississauga, and it sat on a skid for a week and a half). I have not shot with the recently overhauled Minolta XD yet but I found my XE-7 is flawless post-overhaul. Now, as alluded to earlier, Garry works on other brands other than Minolta, I can't speak to his competence in working on those cameras. If you have a Minolta from the mid-1970s to late 1980s and it has a circuit board, I can recommend him with confidence. The Black XD-11 above doesn't have any issues at the moment but I might send it down for a CLA to be on the safe side.